Corruption investigations,disclosures and prosecutions in El Salvador were a rare thing ten years ago. Not so any more. (Although convictions are something we are still waiting for). Here is some of the current news of corruption in El Salvador. 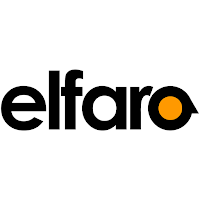 An El Faro investigation has detailed how the legislative assembly awarded more than a half million dollars to an organization founded by the wife of the founder of the GANA party and current president of the National Assembly, Guillermo Gallegos. The organization is run by one of his assistants. The money was supposed to support violence prevention efforts in seven municipalities -- efforts that the municipalities say they never saw. Hearings concluded today regarding allegations of illegal enrichment of the former director of the state Institute of Social Security, Leonel Flores. Flores is accused of being unable to justify how his net worth grew significantly during his time in office. 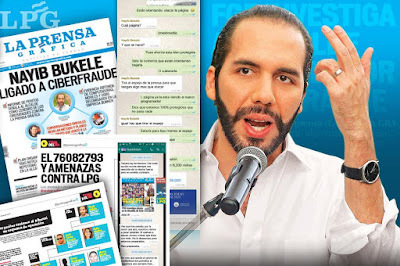 For more than a year now, there has been a very public war between the mayor of San Salvador, Nayib Bukele, and one of El Salvador's major newspapers, La Prensa Grafica (LPG). The dispute relates to a "cyber-attack" on the LPG website in the summer of 2015 in which a cloned version of the site was created, to mislead web-surfers with a fake version of the site. 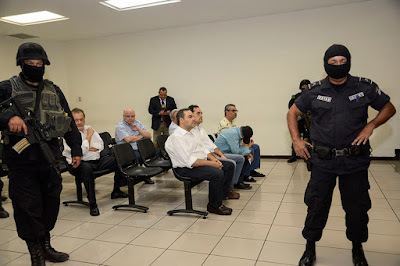 In November 2015, police raided Bunker, an online marketing company located in San Salvador and arrested its CEO in connection with the cloned LPG site. Bunker had previously been hired by parts of the national government in El Salvador as well as by the municipal government in San Salvador. LPG claims that Nayib Bukele was the person who ordered the cyber-attacks against the newspaper. LPG coverage of its claim has been continuous over the past year. LPG claims the attacks were in retribution for articles in the paper critical of the mayor. As the refugee crisis from El Salvador, Guatemala and Honduras continues, immigration courts are swamped with cases where judges must decide whether or not to grant asylum to those fleeing violence in their home countries. In immigration court proceedings, there is no right to an attorney. The US government does not provide lawyers for those who cannot afford them. But having a lawyer makes an enormous difference in the outcomes of these proceedings. Statistics gathered by the Transactional Records Access Clearinghouse at Syracuse University (TRAC) show that less than half of the women with children who go in front of an immigration court have managed to obtain a lawyer. TRAC figures reveal that without a lawyer, less than 2% of the unrepresented families who try to make an asylum claim have avoided being deported. With a lawyer, however, the chance of making a successful claim rises to approximately 41%. Located close to the historic center of San Salvador is Cuscatlán Park. This tree-filled urban park is a welcome oasis from the noise and congestion of central San Salvador. On any given day you will see lovers embracing on park benches, scouts engaged in group activities, or an older couple strolling. It is also home to the Monument to Memory and Truth as well as a small art museum. But the park which opened in 1939 is showing the effects of age and a lack of care and maintenance. The unpaved roads inside are rutted and dusty; vegetation is trampled, and sidewalks and steps have cracks and holes. Now the city of San Salvador and USAID are teaming up to give the venerable park an overhaul to make it a point of civic pride for the city. The $8 million remodeling project has a goal of providing modern public spaces to promote a culture of peace. 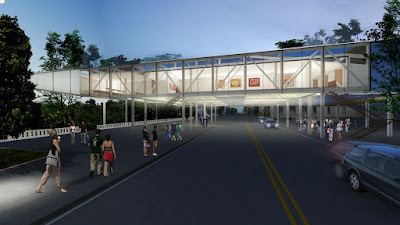 The project will include overhead walkways, new exhibition space for art, areas for children, and improved amenities throughout. Responding to a series of attacks on security forces, the government of El Salvador announced that it will hit back even harder. In November, there have been at least 13 murders of police officers and soldiers by the gangs. In response, the government's point man on security issues, vice president Oscar Ortiz, announced that the armed forces and police would be initiating "Plan Nemesis." (In Greek mythology, Nemesis was the goddess of divine retribution). Today is the 12th anniversary of this blog. In that time I have written more than 2400 posts. Thanks to everyone who continues to read, comment, and share ideas for the blog. I appreciate all the interest you show in this little country. Is war the correct word for what is happening in El Salvador? I was outside an office of the National Civilian Police (PNC) in Zacatecoluca, El Salvador, located in a zone afflicted with significant gang activity. A masked PNC officer strode past me. He wore the common uniform of PNC officers involved in anti-gang work: body armor, with an automatic weapon slung over his shoulder and a pistol on his hip. Our eyes met. Under his mask I could not tell if he was smiling or frowning at the gringo seated outside the police offices. The pickups filled with heavily armed PNC operatives came and went. Sometimes they discharged a shirtless man, hands bound behind him with zip cord, and pushed him towards the building. A large truck rumbled past with heavily armed soldiers carrying automatic rifles. The desk sergeant describes how many people in the zone had disappeared from gang activity so far this year. She didn't say how many had disappeared for other reasons. 48% say that the police sometimes do not respect citizens' rights. 35% say they have been subject to, or aware of, abuse by police. The majority of Salvadorans don't reach out to police when they have been the victim of a crime. 69% would rather not go to the police because of a lack of trust or simply a belief that the perpetrators will not be captured. 49% believe that the police need more education in human rights. 45% of Salvadorans believe there are death squads within the ranks of the police. 66% of Salvadorans disapprove of vigilante death squads. (Of course that means that one in three do not disapprove). The stalemate between El Salvador's majority political parties over resolution of the government's fiscal crisis continues. The government lacks the cash to pay its bills and needs the approval of the National Assembly to issue bonds to borrow the needed funds on international markets. The FMLN government, however, needs the concurrence of the conservative ARENA opposition to obtain the required votes in the legislature. Yesterday saw protests blocking various thoroughfares in the country, as local mayors protested the government's delay of transfer payments to the municipalities. Those payments, which go by the acronym FODES, are the major revenue source for local governments. US Ambassador Jean Manes to El Salvador sent out a tweet from her account calling it "disappointing" that the parties had not been able to come to an accord and saying perhaps it was time to put everyone together into a room and not leave until there is white smoke. 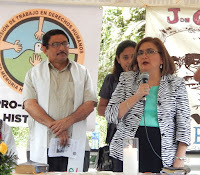 I was at two events this week which were also attended by Raquel Caballero de Guevara, El Salvador's new Procuradora para la Defensa de los Derechos Humanos or PDDH. Into English, this is usually translated as Human Rights Ombudsman, but I think a better translation would by Advocate for the Defense of Human Rights. She has been in her current position since September. In each of the appearances Caballero de Guevara spoke of one of her priorities being programs of "restorative justice." As the 25th Anniversary of the 1992 Peace Accords approaches, the PDDH wants to see restorative justice provided for the victims in El Salvador.